We are not an event, nor are we a satellite location. We are a permanent home for designers wishing to have an inworld presence without incurring extravagant costs. Think of it like a mini-mall full of a variety of new and upcoming designers. 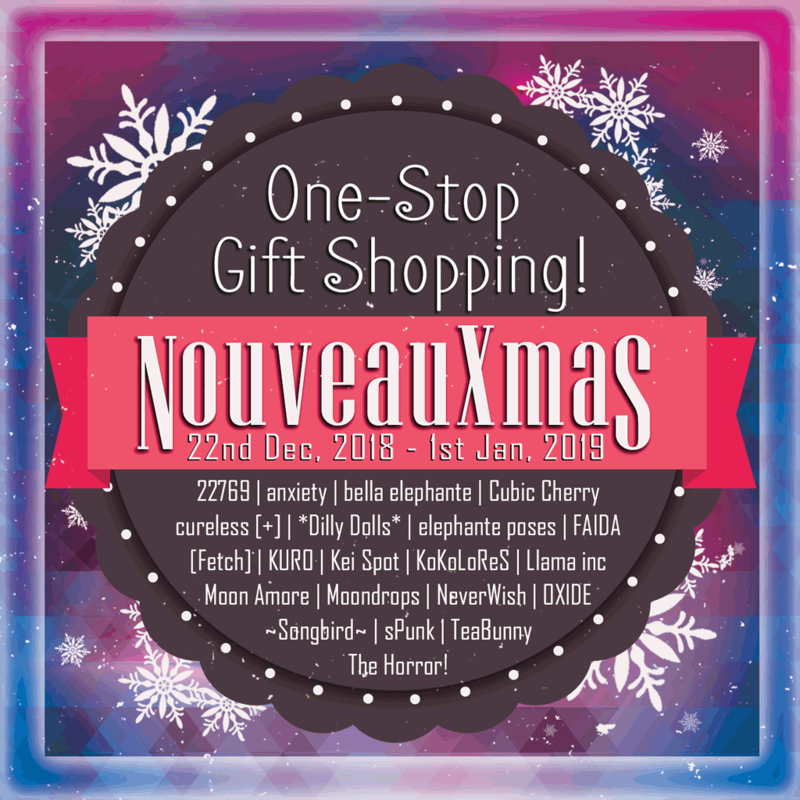 The collaborative project between Zee, Xanthe and Horror, Nouveaux is intended as a business collective of small designers needing an inworld presence but without incurring the high cost of renting a store on their own. The idea is simple: we think it make sense to collaborate as a startup. An inworld presence is usually needed for a designer to join in hunts and events. However, we have witnessed so many promising and enthusiastic designers swamped with the stress of running a business on their own. In many cases, the designer will retire their inworld presence and only retain their MP store, thus missing out on inworld promotional activities. Each merchant retains full ownership of their brand and their products. Store group are usually used as a marketing tool. However, consumers have limited group space and is not very likely to want to sacrifice space for a relatively unknown brands. We solve this by having Nouveaux merchants under one consumer group (if they choose to), giving customers group access and benefits to several stores under one group. The responsibility for providing group gifts does not rely on one brand: GG are offered on a rotational basis between each 18 stores. Our blogger base does not depend on bloggers freeing up a group space. We are currently accepting designers application. Read more about it here. We are also accepting bloggers here.